La très polyvalente grimpeuse autrichienne Barbara Zangerl frappe encore ! 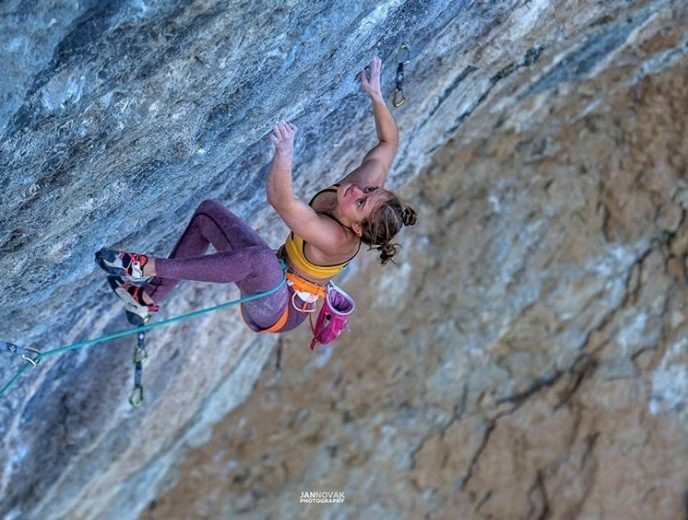 Premier 8B bloc féminin mondial il y a 10ans, mordue de trad avec de multiple ascensions extrêmes à son actif, 8b+ en big wall sur El Cap… Il ne lui manquait plus qu’un 9a et c’est désormais chose faite ! Babsi vient de réaliser la 5ème ascension et la première féminine de “Speed intégrale” à Voralpsee en Suisse. La ligne, libérée par Cédric Lachat en 2011 démarre par “Speed” le célèbre et très dur 8c+ de la falaise ouvert par Beat Kammerlander en 1995 avant de connecter dans “Lucy” 8a+ pour finir au sommet de la falaise. Un festival de l’arquée dans un mur légèrement déversant aux formes extraordinaires ! “J’ai commencé à essayer “Speed integrale” à la fin du mois de mars cette année mais j’avais déjà checké la première partie l’an dernier. Je pense que cela m’a pris 15 jours de travail. 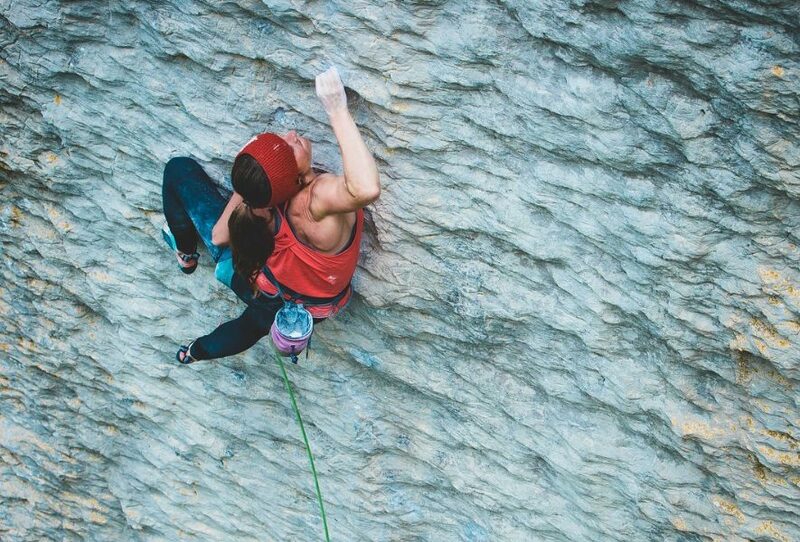 Multi talented Austrian climber Barbara Zangerl strikes again! First female 8B in bouldering 10 years ago, fond of trad climbing with several extreme ascents under her belt, 8b+ free climbing in El Cap. It just misses her a 9a and now it’s done! Babsi just took the 5th ascent and the first female ascent of “Speed internal” in Voralpsee, Switzerland. 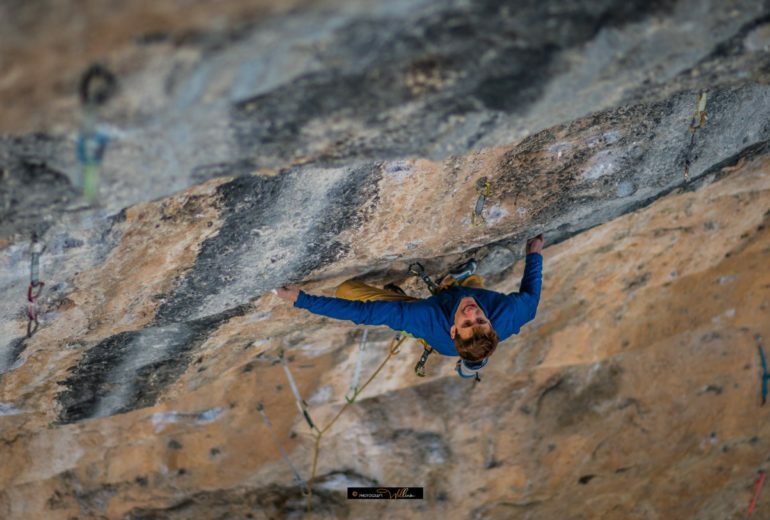 The line, freed by Lachat in 2011 is an extension of famous and hard “Speed” (8c+) bolted by Beat Kammerlander in 1995, linking at the top with the 8a+ of “Lucy”. A crimp festival in a slightly overhanging wall with amazing shapes. “I started to try speed integral seriously at the end of March this year… (but checked the first part of the route the year before). I think it took me about 15 days Voralpsee is my favourite crag…I climb a lot there. 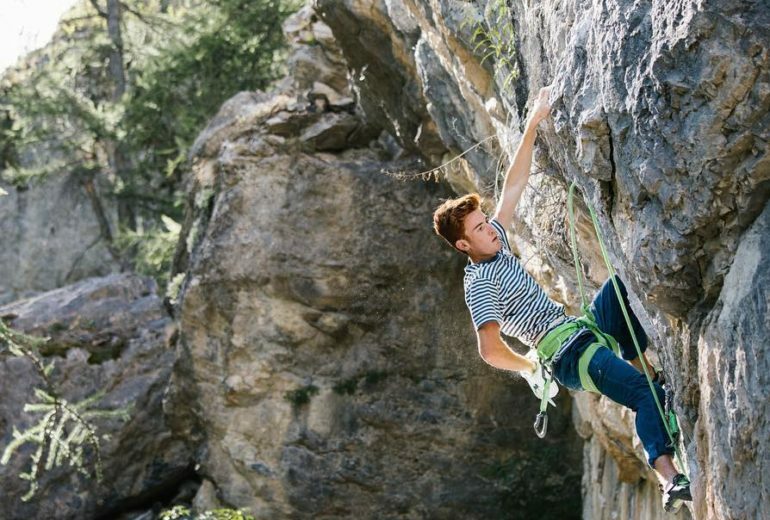 But usually, I train on easier routes at Voralpsee to get fit for multi-pitch climbing…This year I decided to invest more time to try a hard sports climbing route…And “Speed” is one of the best I know! So it was easy to get motivated. About her next trip, planned in Canada in June and July: “It will be my first time in Squamish… Would love to hop on some crack classics!